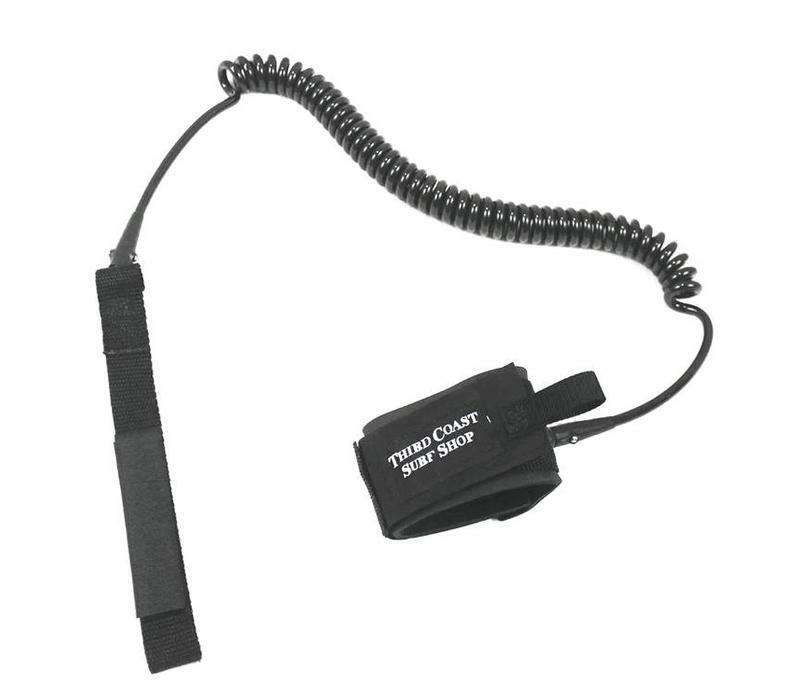 Third Coast Surfboard Leashes are hand-made from the finest materials in southern California by long time surfer Crow Haley. Crow has been making surfing leashes of the highest quality for decades, and is still at it; crafting each one with his own two hands. Whereas the industry standard dictates cheap production from overseas, Crow continues to put his heart and soul into every leash he makes. We are proud to help keep the tradition alive. 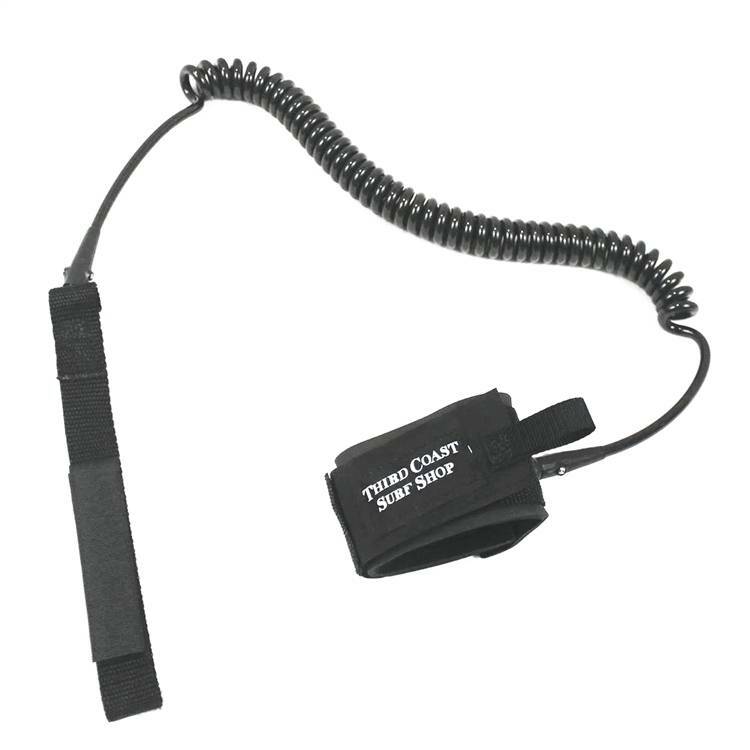 These heavy duty, 5/16" thick, all condition leashes feature a single wrap quick release cuff with molded stand-off, heavy duty double brass swivels to eliminate tangles, and 1.5" triple wrap detachable rail saver.